Donkey from “Shrek”, get it? 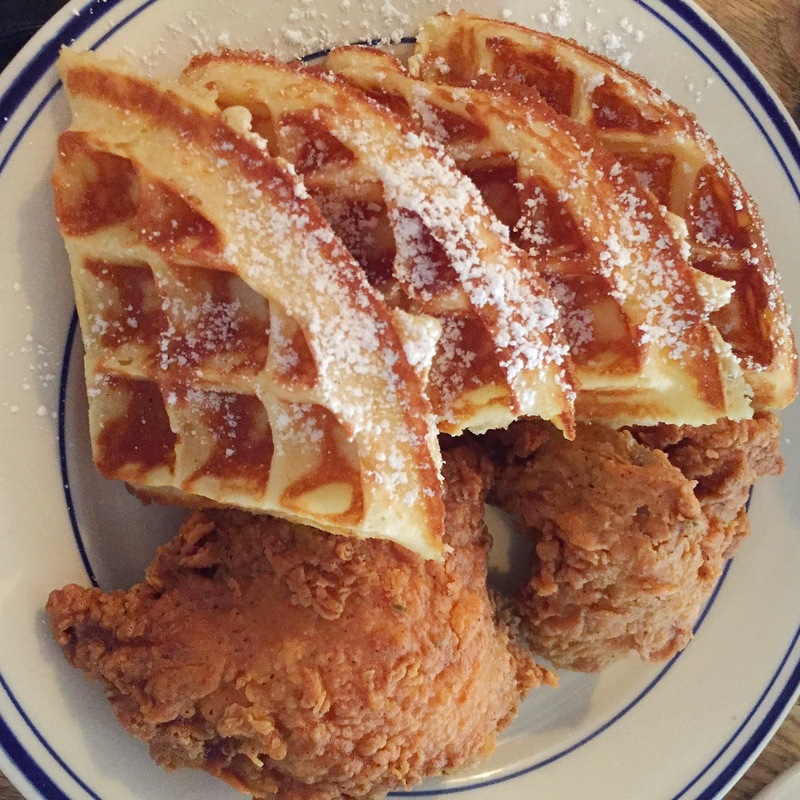 My tastebuds were jumping for joy today thanks to Sweet Chick! If the title of this post didn’t give it away… it was a majorly filling (and fulfilling) chicken and waffles extravaganza. 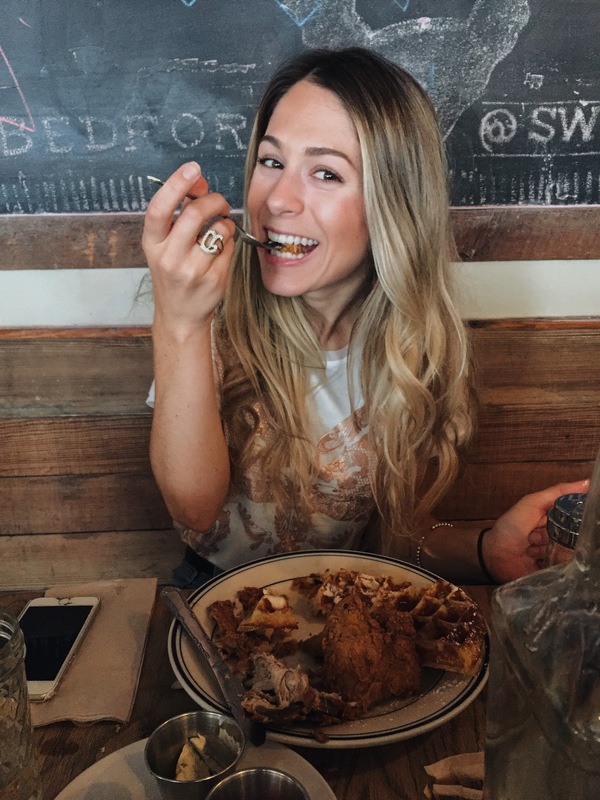 I adored this rustic Williamsburg joint and I’m sure that after checking out the pictures, you’ll understand why. 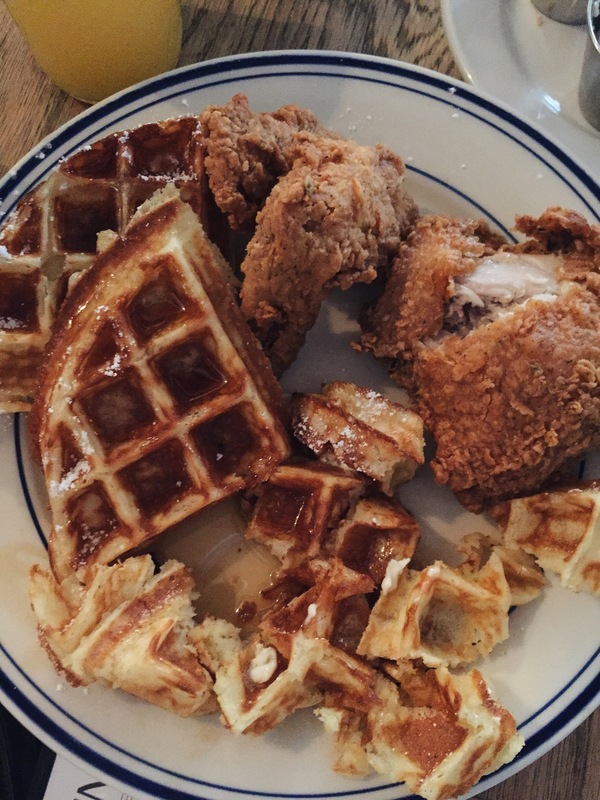 The chicken was juicy, but not greasy, and the waffles were perfect. 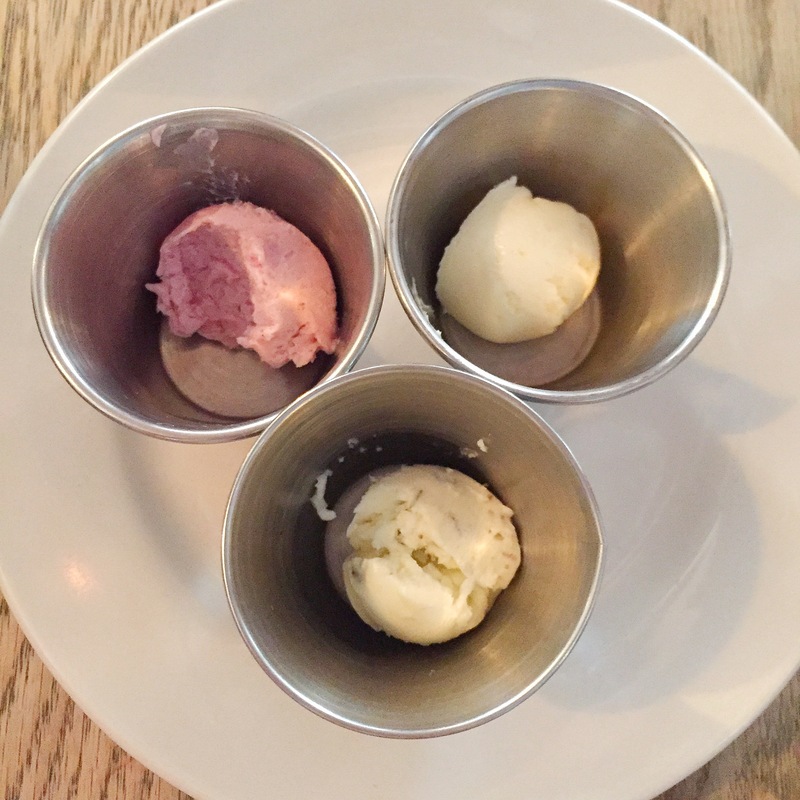 They were fluffy, flavorful and perfectly complimented with the berry, herb and lemon flavored butters. The best part? 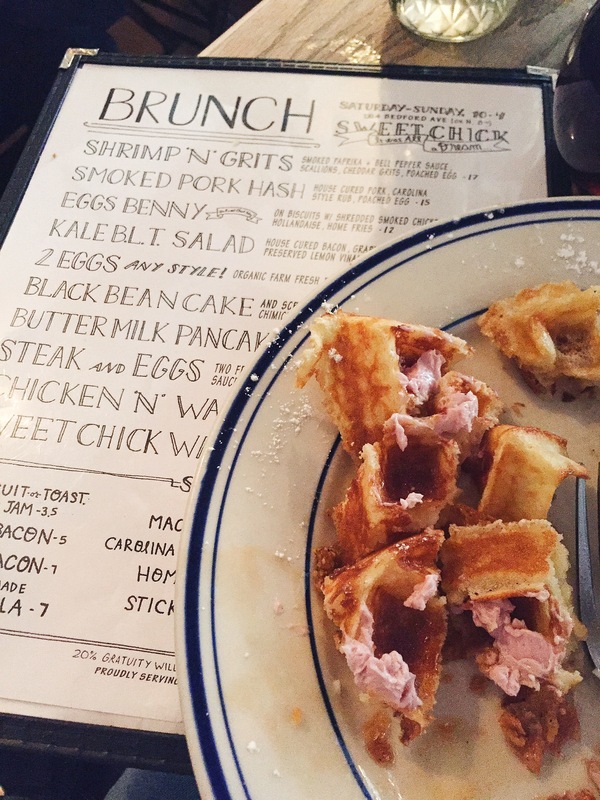 We got there early enough to be seated right away, completely unlike our brunch experience last week, thankfully. 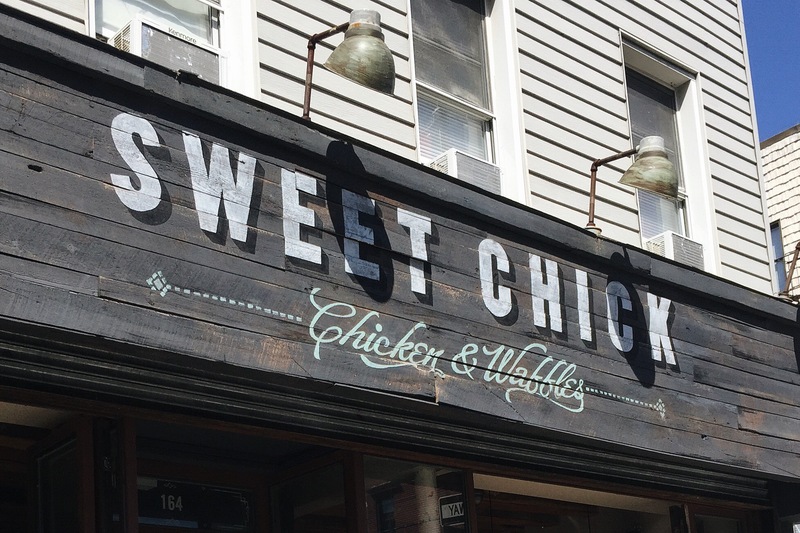 I can’t say I frequent Brooklyn, but I know I’ll be back in Williamsburg soon thanks to restaurants like Sweet Chick!